Described in 1907 as a triangular township that forms the south-eastern corner of the parish; its area is 850 acres, the population in 1901 was 261. The area is extremely flat, and in the northern portion of the township the level of the landscape is scarcely broken by even the smallest trees, and the hedges are but scanty. The surface, occupied by cultivated fields, where corn and potatoes find a congenial soil, is a mixture of clay and sand. A few farms are dotted about the district. A patch or two of undrained mossland near one of the railways discloses the nature of the surface before the time of reclamation. The main road from Liverpool to Ormskirk passes through Aintree and the Mersey branch of the Lancashire and Yorkshire Railway joined the Liverpool and Wigan line at the south-eastern corner. 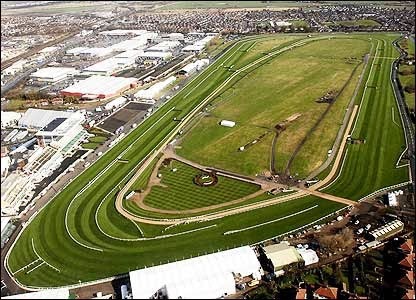 Aintree, is famous for its great racecourse, which was opened 8 July, 1829. The old village was in the centre of the township, about two miles south-east of Sefton church, but housing in the area developed quickly joining Aintree with Walton and adding to the growth of Liverpool. At the beginning of the thirteenth century the land in Aintree was held by Henry de Holland of Downholland in Halsall, and in 1387 Sir Thomas Nevill, son of Sir Robert Nevill of Hornby, held the manor of Aintree. 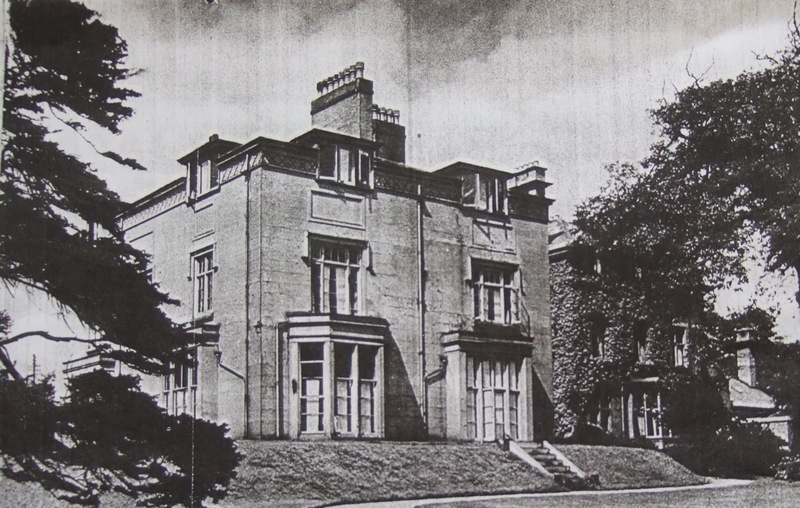 The Molyneux family of Sefton purchased the greater part of the manor in the sixteenth century. The name Aintree, thought to be of Saxon origin, means "one tree" or "tree standing alone." It is first recorded in 1226, also as Ayntre (the usual mediaeval spelling) in 1292. Eyntre occurs; Ayntree and Ayntrie, 16th century. Local legend held that an oak tree on Bull Bridge Lane (removed in 2004) was "the Ain tree" though the antiquity of the name excludes the possibility. The historic core of the village was a small linear settlement near the junction of School Lane, Bull Bridge Lane and Wango Lane. Much of the nearby flat, wet and boggy land was reclaimed for agriculture following the Alt Drainage Act of 1779. The village has two primary schools, Aintree Davenhill and Holy Rosary and a Music School, five churches, the Anglican church of St. Giles, The Roman Catholic church, the Holy Rosary, Old Roan Methodist Church, Old Roan Baptist Church, and Aintree Village Family Church, (a Baptist church, meeting at Old Roan Methodist Church Hall, Altway). 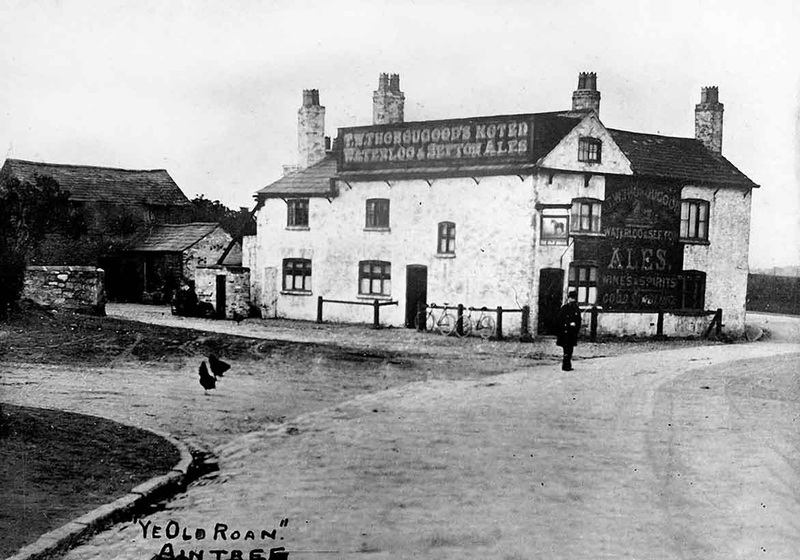 There are three public houses, the Blue Anchor, the Village Inn (formerly the Valentine, named after a fence on the racecourse), and the Old Roan, which gives its name to a railway station in the village. There is now a large retail park along Ormskirk Road on former industrial land which brought a significant number of major out-of-town shops to the area. Aintree Davenhill Primary School has a large field with a metal building that was built in the 1950s. The building was going to be a hospital building, but was turned into a school. The classrooms are along corridors that were originally going to be hospital wards. There is also Holy Rosary Primary School, a split-site school until 2008 with an approximate ½ mile between the reception and infant schools, based at a site at the Old Roan end of the village between Altway and Aintree Lane, and the junior classes based at the Village Inn (ex-Valentine) end of the village in the Oriel Drive site. Aintree is of course most noted as the home of the Grand National. Since the inaugural running in 1839, when Lottery etched his name on the roll of honour, victory in the Grand National has been the pinnacle of ambition for owners, trainers and jockeys worldwide. Hollywood actors, moguls, pop stars, comedians, coiffeurs, celebrities of all hues, sporting heroes, politicians, aristocrats, business people of every variety, Kings, Queens and Princes have all tried for success; just a fortunate few have succeeded. It is the most famous chase in the world and one of the biggest tests for racehorse and rider around two circuits of the Grand National course - with 30 fences to be jumped as four miles, three furlongs and about 110 yards are covered. There are numerous famous landmarks which are an integral part of Grand National folklore; Becher’s Brook, the Canal Turn, Valentine’s and the Chair are fences known around the globe. Aintree has also been used as a venue for motor racing. 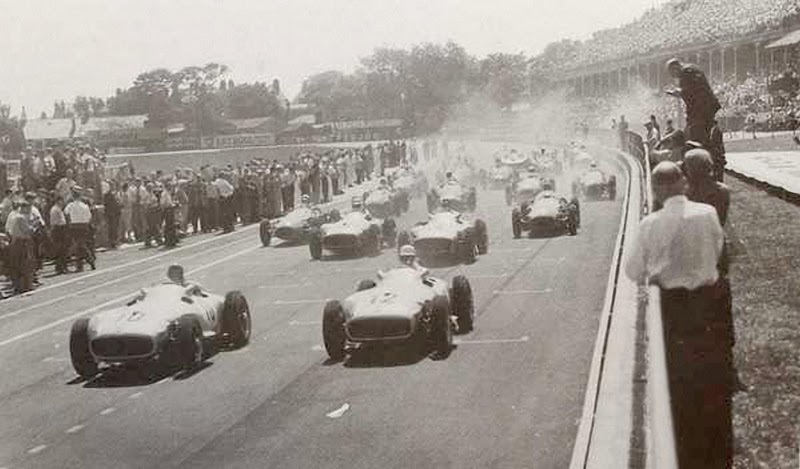 The British Grand Prix was staged there on five occasions, in 1955, 1957, 1959, 1961 and 1962. In addition to the Grand Prix, the circuit also held 11 non-championship Formula 1 races, known as the Aintree 200, first won by Stirling Moss in 1954 with the last winner being Jack Brabham, in April 1964. The only driver to have competed in both horse and motor race is Alfonso de Portago, who competed at the Grand National in his early days as well as in a sportscar race. He was to compete at the 1957 British Grand Prix at Aintree, but he was killed in the Mille Miglia. Aintree University Hospital, known as Fazakerly Hospital dates back to 1898, when 118 acres of land were bought by the City Council for £39, 915. Prior to the sale, the land had been the Harbreck Estate which included a country house. 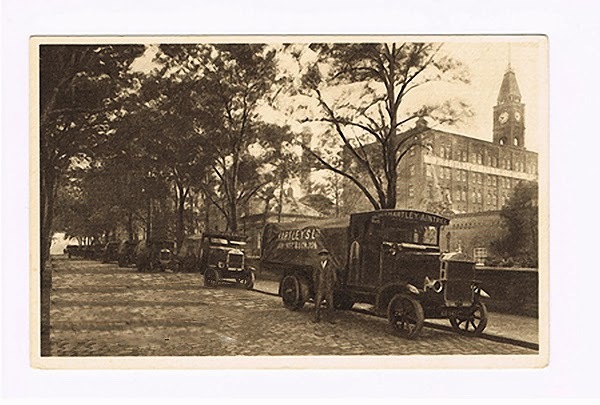 Originally there was just Fazakerley sanatorium for tuberculosis patients and the City Hospital in Walton for infectious diseases like smallpox, polio and scarlet fever which were very serious at that time. The sanatorium was a long-term hospital and patients maybe stayed there for as long as four years at a time. The Hosptal now serves a population of around 330,000 in North Liverpool. South Sefton and Kirkby. Aintree Hospital is a teaching hospital, and offers specialist services with a world-class reputation to a population of 1.5m residents across the North West. 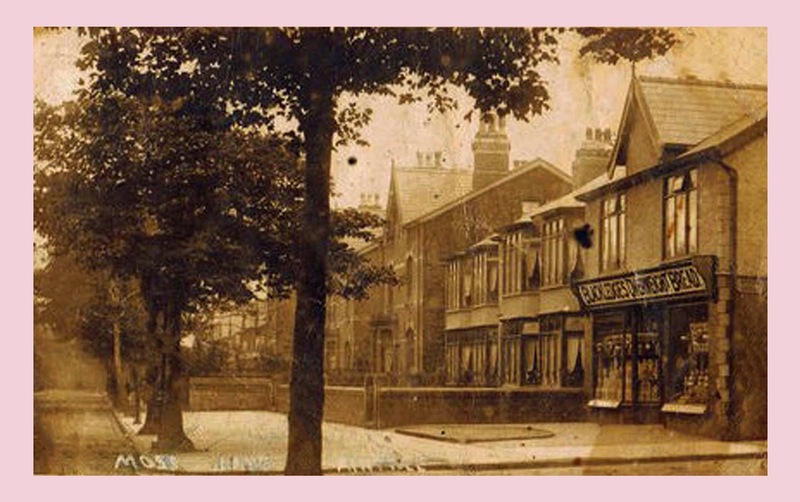 Hartley's Village, Aintree, was founded in 1886, and was a manufacturing base for Hartley's Jam until the mid 1900s. It includeed a purpose built factory, model village and recreation land. The village was proposed for conservation status as an example of Victorian manufacturing philanthropy and has since been named a conservation area. 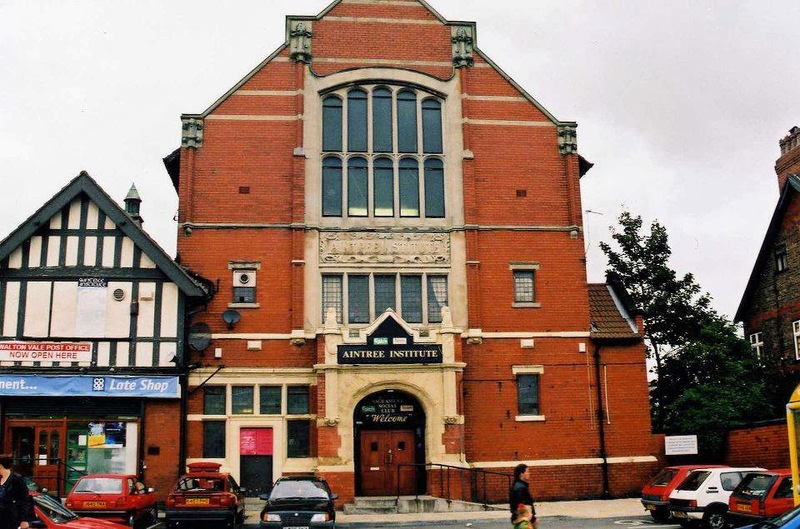 Aintree institute, which is sadly no longer there, was founded in the 1890s by Sir William Pickles Hartley. In the early 1960s, promoter Bill Kelly hosted concerts at the Institute billed as "sensational jive dances". The Beatles headlined a number of these evenings, billed as "The Dynamic Beatles"or the "Great Boppin' Beatles".The Beatles performed a total of 31 shows at the venue. Other notable performances by musicians in Aintree include: Michael Jackson performing the European leg of his 1987-1989 Bad World Tour at Aintree Racecourse on 11 September 1988, to more than 125,000 people. McFly performing for the Liverpool Summer Pops in 2005. Pink performing at Aintree during her I'm Not Dead Tour on 16 July 2007. Kaiser Chiefs and The Chemical Brothers also performed in concert at Aintree Pavilion as part of Liverpool Music Week 2007.